If you are on this site, you’re looking into “how do I sell my house fast in New Orleans” or “who will buy my New Orleans house?” Right…Well, you’re in the right place. We buy houses for cash in New Orleans LA! Give us a call at 504-509-4888 to get your Fair offer today or fill out the simple contact form on this site. Let us help you skip the traditional home selling hassles, so you can get move on with your life. 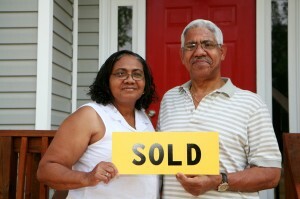 We are Real Estate Investors and we buy houses for cash New Orleans. Since we can pay with cash, we can close quickly or simply on your time frame. We are the local “We Buy Houses in New Orleans Area” Company that offers real estate solutions at a fair price. We don’t want to list your home; We BUY Real Estate Properties, both residential and rental houses. If you need to sell fast without any hassle – we buy “as-is”, meaning no contingencies, and you don’t pay any commission. We are local cash buyers and in most cases you won’t pay any of the closing costs. It’s that simple. We Buy Houses New Orleans LA – Avoid the hassle of realtors, repairs, and months of uncertainty. By-Pass The Entire Listing Process And Simply Sell Your Home To Us! Perhaps you’ve tried to sell your New Orleans house but are running into roadblocks. You probably even tried calling a real estate agent. Sometimes selling a house the traditional way with a real estate agent is simply not the best option. If you need to sell your New Orleans property fast, then we’d like to make you a fair all-cash offer. And we’ll even GUARANTEE that offer and can have a check in your hand in as little as 14 days. Selling your house using traditional methods can be frustrating, expensive and painful when time is against you. If life has you in a situation that demands that you sell your house quickly, then we can provide you with a fair solution to do just that because we buy houses in New Orleans for cash. We buy houses as-is… no need for repairs or fixin up the property. Need to sell your home quickly in New Orleans Louisiana or surrounding areas… we’d like to make you a fair all-cash offer. Want to sell for market value and not pay realtor fees, commissions or closing cost? Just ask Mason about “Your Price Our Terms” program. Give us a call at 504-509-4888 to get a quick offer over the phone today or fill out the simple form on this site. We buy houses New Orleans -in any condition… as-is… let us take over the burden of that unwanted property and give you peace of mind. Give Us a call to see how we can buy your New Orleans house. Our company specializes in solving real estate problems. . . especially ones that pose a financial burden on you the homeowner. We can solve almost any financial problem that real estate throws at you. Our entire focus is to empower you to take back control over your situation, by knowing all of the options available to you right now. We can help you make sense of all of this confusion and present you with your options that can potentially change your life and get it back to normal. Are You Trying to “Sell My House Fast In New Orleans”…But Can’t? You’ve tried to sell your house but are running into problems. You probably even tried calling a real estate broker. We buy houses in ANY CONDITION! There are no commissions, fees, or obligation whatsoever! Start below by giving us a bit of information about your property.